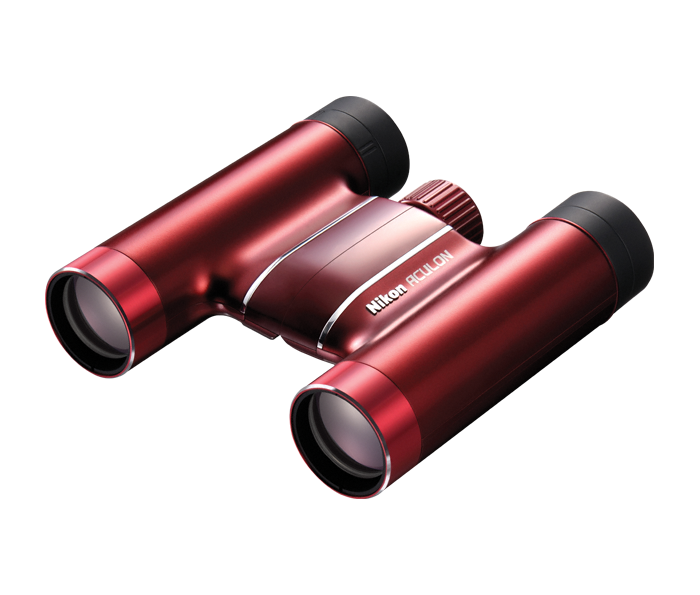 The ACULON T51 8x24 is built with Nikon’s legendary optics and is available in four different colors: black, silver, pink and red. Its compact design makes it easy to take it with you to any outing or event, while its design makes it simple to operate. Nikon’s lens multicoating enhances image brightness. The environmentally-friendly Nikon Eco-Glass lenses deliver astonishing clarity and precision in a lighter-weight, lead and arsenic-free glass composition. The ACULON T51 binoculars are built with an elegant aluminum body and have excellent ergonomics, making them easy to hold. This assures you will be comfortable and steady while using and makes them extremely easy to carry along. The fast and smooth range of focus allows for quick viewing in addition to the ACULON T51 line’s comfortable and ergonomic design.